Today, the Winsor & Newton Professional Watercolor range benefits from continued advancements in pigment technology and production methods, building on the company's already high standards to produce even brighter, more transparent, and more stable colors. Lamp black is a very opaque, heavily staining black pigment that does not have much covering power. 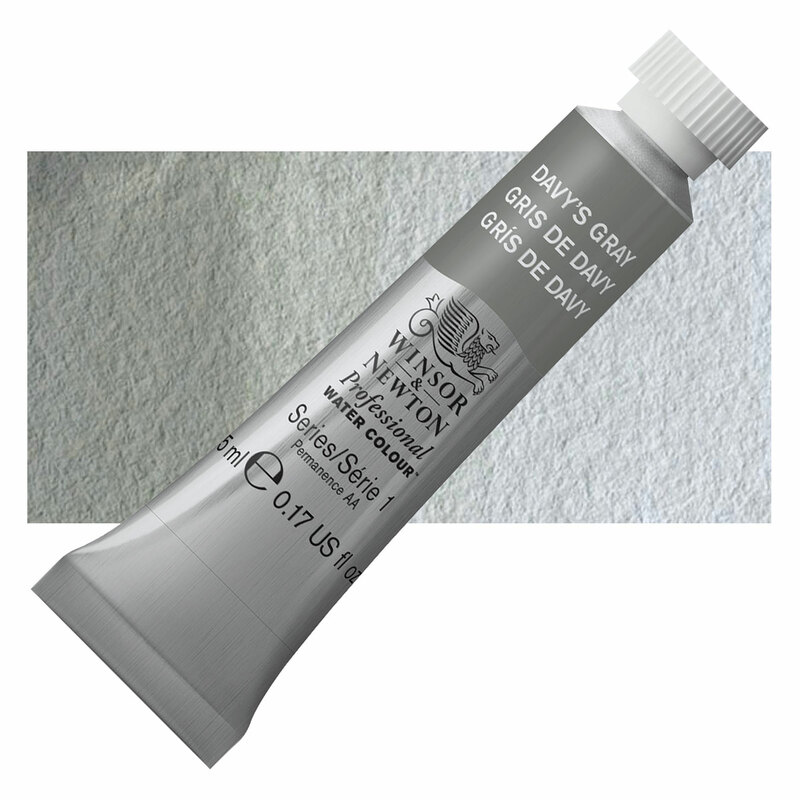 It is typically the most opaque black in watercolor form. Though a very pure black, it tends to muddy slightly in mixtures, is one of the slowest drying pigments in oils, and should not be used under other colors. Lamp Black is slightly toxic by skin contact and inhalation. It is a possible human carcinogen. Lamp Black is a carbon based black traditionally produced by collecting soot (known as lampblack) from oil lamps. It is the black found in Egyptian murals and tomb decorations and was the most popular black for frescoing until the development of Mars Black. Carbon Black, Channel Black, Oil Black, Vegetable Black. Flame Black is an impure version of Lamp Black. Slate Gray is a semi-opaque, neutral gray pigment produced from powdered slate. Slate Gray is absolutely lightfast. Hydrated aluminum silicate is not considered toxic, however pigment from natural sources may contain impurities. Mineral sources of Slate Gray have been used as a colorant since prehistoric times.